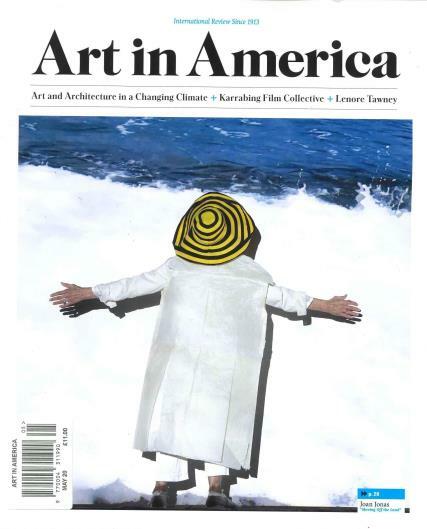 Art In America is an international monthly magazine that is dedicated to modern art. Each issue provides coverage of well known and emerging artists in the world of contemporary art. Buy a single copy or subscription to Art In America magazine. There are interviews and profiles, articles on art trends, reviews of shows and exhibitions, and a calendar of events. This magazine has a long legacy of being the voice for contemporary art. The magazine was first published in 1913. Geared toward collectors, artists, art aficionados, art dealers and anyone with a love for art, Art In America is the magazine to subscribe if you want to be informed about fine art. The magazine reports on all different kinds of mediums including painting, photography and sculpture, performance art, digital art, architecture and every variation thereof. The focus of the magazine is the art world in New York City and the United States but there is also coverage of the international visual art scene. Art in America looks beyond the art to the artist themselves. In depth interviews profile the artists in their studios to find the inspiration for the visual art they create. Well known contributors have included Dave Hickey, Janet Koplos, Mark Staff Brandl, David Ebony, Cathy Lebowitz, Craig Owens and Christopher Phillips. In Art in America you will find a weekly guide to art exhibitions and museum shows, news on things like the legal arguments over O’Keeffe Collection at Fisk University and a debate over Occupy.